Do you need your discs fast? 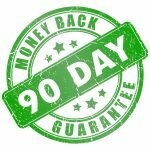 You need quick Duplication or Replication? We can offer you fast turn arounds on most CD, DVD, Blu-ray and USB projects to meet your deadline. We can produce provide CD or DVD replication as fast as 5 days. With CD or DVD Duplication projects we can offer next day delivery if needed (depending on packaging). Whether you have been let down and need your discs quick because your project has run late, have a last minute project or need to top up stocks quickly one of our project managers would be happy to help you. CD, DVD, Blu-ray replication Vinyl, Print and USB’s. Offering expert advice since 1994.
or call free on 0330 333 1090 to talk to an expert about your CD, DVD or Blu-ray manufacturing needs. 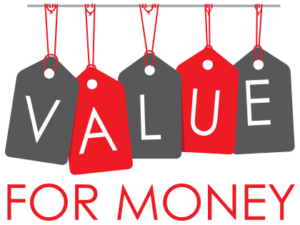 Do you want Value for your money? You can be reassured of expert advice with our years of experience to make sure your project is delivered on time, on budget and to the highest quality, first time. We do extensive checks on your artwork and masters to ensure everything is correct before production and we offer low prices which we believe makes us the best value for your money. In the event you find a slightly cheaper price, we will do our best to match any like for like quote. Send us your quote – you will still receive our great service and quality. You are at the point of trusting your most precious work to a CD Manufacturer and you need a reliable CD duplication service for your bands music CD. You want to partner with a market leader who sets standards in Quality and Service that others copy. 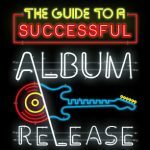 We give you free helpful guides and support to get you the perfect Audio CD copy and explains why we are rated the best CD DVD Duplication Company. We are seen as one of the leaders in the industry with Ed Sheeran, Sea Sick Steve and Elton John amongst our CD Replication clients and list Disney, BBC, Sony, Panasonic for DVD replication. 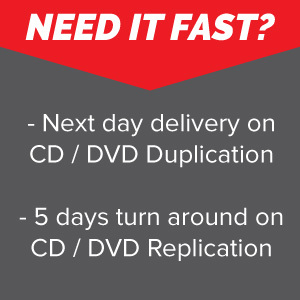 Want fast DVD duplication we can help. Your project is important to us and we take the time to make sure every CD, DVD, Blu-ray duplication or replication project is as successful as it can be. As a CD DVD Manufacturer we care about what’s really important to you. 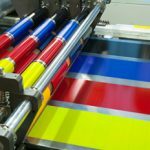 If you want a company that can supply all of your needs, is rated best provider and has the time to answer all of your questions and ensure your CD, DVD, Vinyl, USB or Blu-ray manufacturing is done right first time, then talk to us. Did you know we started out copying VHS and audio cassette tapes (if you can remember what they are!). See what our customers think on our customer testimonials page.